Centergross works as a true city of commerce. In the late nineteen-sixties, the urban structure of the city of Bologna was going through a time of great transformation and the heavy increase of city traffic was already beginning to create problems for the expansion of the wholesale business operations and for the city. The wholesale business owners, supported and assisted by the Ascom Bologna category association and by the Bologna Chamber of Commerce, joined forced to create a common headquarters, north of Bologna. In 1977, there were 180 investing companies, a number which has now reached more than 600. • 100 thousand m2 for offices. In the area of a modernisation and energy savings project, on appointment by Centergross, Cefla replaced all the outdoor luminaires for the entire complex. For the internal streets, Antares was chosen, the new luminaire with an innovative look and outstanding lighting performance, whereas at the entrance, Milos was selected. Rebernig Supervisioni Srl was awarded the planning and development of the supervisory system of the entire structure, shown in the screenshot of the QSP homepage relating to the Centergross structure. Using Antares and Milos has allowed for surprising energy savings to be achieved. 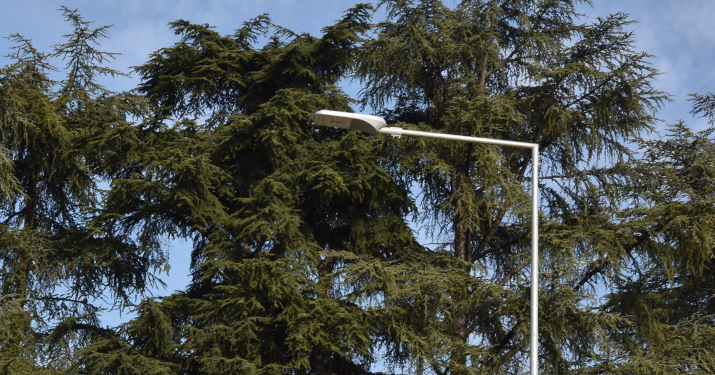 Before intervention, the power of the street lighting structure was around 180 kW. Now through the QSP supervision platform, it is possible to configure the light of the entire structure, choosing between 10 LINEAR POWER LEVELS which go from around 53 kW (LEVEL 10 - full power) to around 12 kW (LEVEL 1 - minimum power).